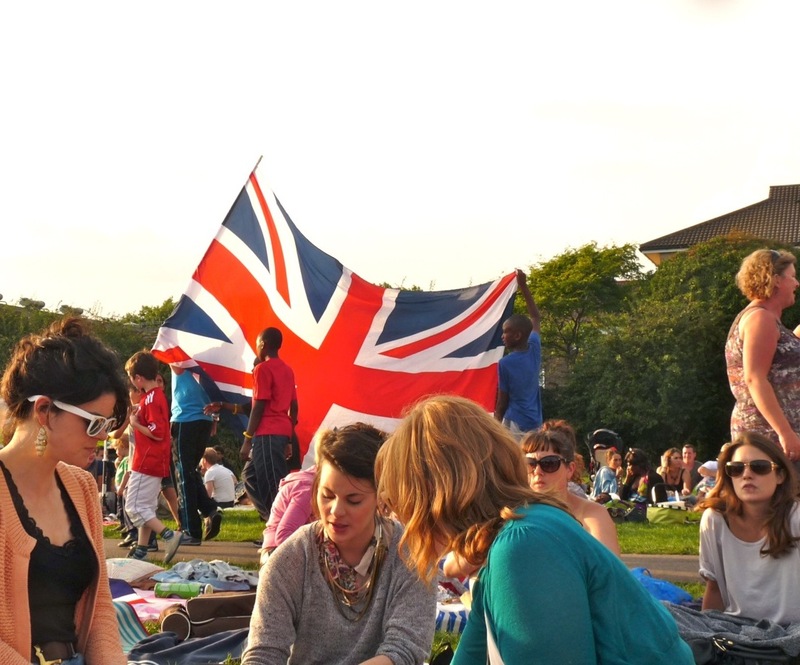 ONE OF the pleasant surprises for Hackneyites during the Olympics was that the council had set up a big screen in Haggerston Park for people to enjoy live TV coverage from 27 July to12 August 2012. As at other outdoors viewing areas, entrance was free, but at the Haggy, London E2 8EX, the public were allowed to take in their own alcohol so long as it was not in a glass bottle. Much riffling through dustbins in search of empty plastic bottles ensued. The one disappointment was that cycle parking was limited. As if taking a cue from the Games to get physical, many people either walked or cycled to the venue. The organisers had other ideas, banning bicycles from the area once the provision was filled. The result was a locking of bikes to any solid objects in the streets around. Not only did this mean a risk of damage to bicycles by becoming entangled, it created obstacles for pram-pushers and blind and other disabled people, forcing them into the road. The pavement around the Whiston Road entrance, is narrow. 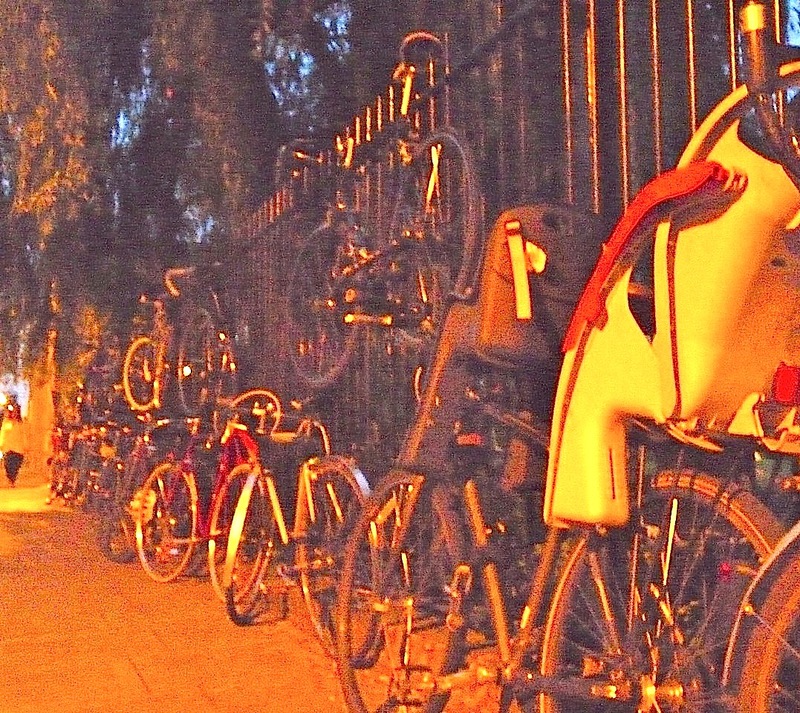 Trevor Parsons, London Cycling Campaign co-ordinator in Hackney, commented: “Ideally, organisers should set up stewarded parking areas with heavy-duty hardware to which people can lock their bikes, but it’s not absolutely necessary. “Where there are lots of park railings, it can be more practical and cost-effective to encourage people to lock to railings, and have a conspicuous security presence whose sole job is to deter thieves. “We hope that future big outdoor events held here in the London Borough of Cycling will have cycle parking high on the planning checklist. “The very popular Haggerston Park screen was quite a late-stage initiative, so it’s understandable, if a little disappointing, that there wasn’t enough temporary cycle parking to meet demand. Hackney council said that five racks, as well as barriers to which bikes could be locked, were provided, allowing a total of about 200 bicycles to be parked. The council added: “The big-screen events were free and Hackney provided some bike parking inside the park. It wasn’t feasible to provide a space for everyone in the grounds as thousands of people turned out for the opening and closing ceremonies. Hackney council is happy to boast about how the borough is increasing cycling, while in truth it rides on the back (metaphorically) of the increasing number of cyclists who live and work in Hackney. In Dalston there has been a major road and pavement upgrade of Kingsland Road and Dalston Lane. A very busy area. Nothing seems to have been done to improve cycling. The council should stop boasting about being a cycling borough until it puts in place measures that make it safer and easier to cycle in the area.